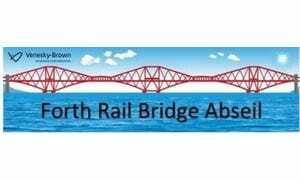 Five staff members from Venesky-Brown are taking part in the Forth Rail Bridge Abseil on the 21st October 2018. For this unique challenge, our staff will be abseiling (free-fall style, like the S.A.S.!) from the iconic Forth Rail Bridge. It’s a 165ft drop with a soft landing on the sandy beach below. We are fundraising for our chosen charity Health in Mind. Health in Mind are a mental health charity who have been promoting positive mental health in Scotland since 1982. As a large employer, we take mental health very seriously and we are working very closely with Health in Mind to support in anyway we can so that in turn, our employees know that we are there for them. Please support us in fundraising for a great cause! This entry was posted in Uncategorized on October 9, 2018 by Hannah Smiley.